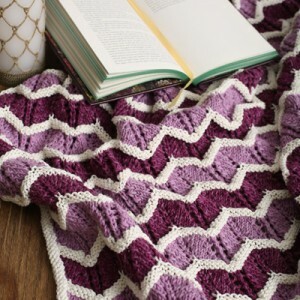 This is a knit take on the classic Zig Zag Crochet afghan that’s a perfect cozy blanket for air-conditioned days. Two coordinating colors are enhanced by narrow sections of white reverse stockinette stitch. Whip up this throw in no time using a bulky weight yarn. This throw is knit from the center out and incorporates several different patterns. Try working each section in a different color for a more colorful piece! 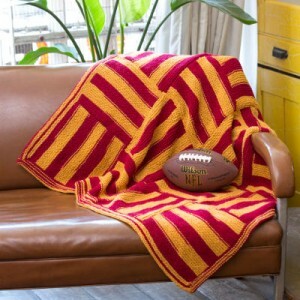 If you want warm and cozy this winter, this throw is just right for you. Thick, bulky yarn is perfect for a quick project, and cables make it look like you spent months making it. Designed by Laura Bain. 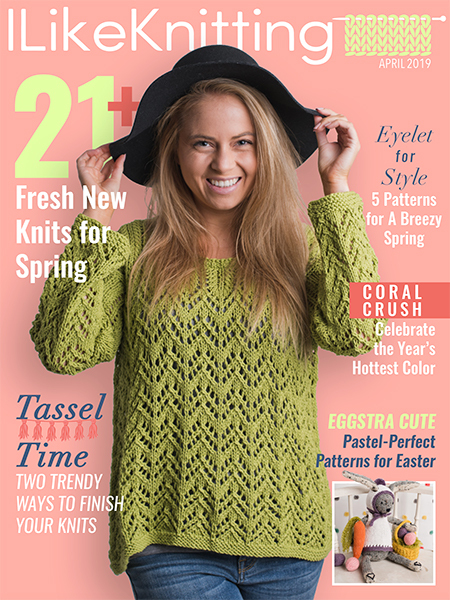 Twisted stitches, cables and lace come together in this relatively quick project. You can easily adjust the number of counterpane squares for a smaller or larger throw as desired. 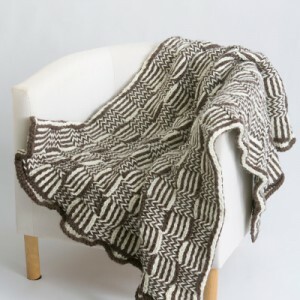 This beautiful baby blanket showcases a wonderful cable pattern. Although the cables span the entirety of the blanket, this blanket is straightforward to make and is perfect for intermediate knitters. This striking throw seems much more complicated than it really is, but the secret is in a simple stranded stitch pattern which looks different on each side. Worked up in one piece, this afghan is the perfect accent piece for any couch. 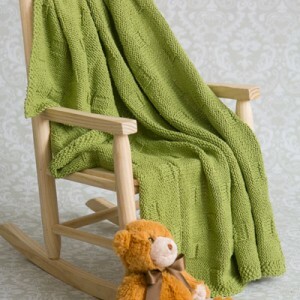 A blanket is an ideal gift for a new baby as well as a wonderful heirloom to hand down through the generations. 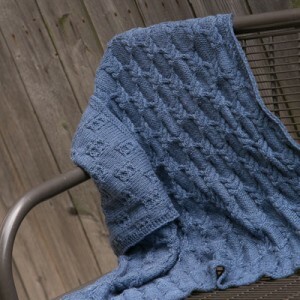 This lacy blanket, knit in a cotton- and linen-blend yarn, is perfect for those new summer arrivals. This easy blanket makes a perfect shower gift! With this blanket, baby can snuggle during nap time and explore the subtle texture during playtime. Use cotton yarn with just a touch of elastic to help the finished blanket hold up to repeated washing. It only takes 16 large squares to make this easy, striped lapghan! The self-striping yarn changes color on its own so you won’t have loose ends for each new stripe. If you’re a fan of a different team, there are other color options to choose from. Designed by Julie Hines.